“Mary Brownell Behrend: Diary of a Girl/Portrait of a Woman” features excerpts from a diary Mary kept when she was 13, as well as several of her paintings. An unexpected package that arrived over the summer at the Penn State Behrend Archives from Ernst and Mary Behrend’s grandsons, Richard and William Sayre, was particularly well-timed. It contained items for the Archives’ Behrend Family Collection and arrived while the college was nearing completion of a new monument for their grandmother. Jane Ingold, college archivist, opened the package to find Behrend family personal items and memorabilia, including a photo of Ernst as a baby in 1869, a miniature chess set belonging to Ernst, and the diary Mary kept when she was 13 years old. The diary held particular interest for Ingold, who curates exhibits from the archives and displays them in the John M. Lilley Library gallery. It soon became the centerpiece for a new exhibit, “Mary Brownell Behrend: Diary of a Girl/Portrait of a Woman,” which features excerpts from the diary, as well as several of Mary’s paintings. 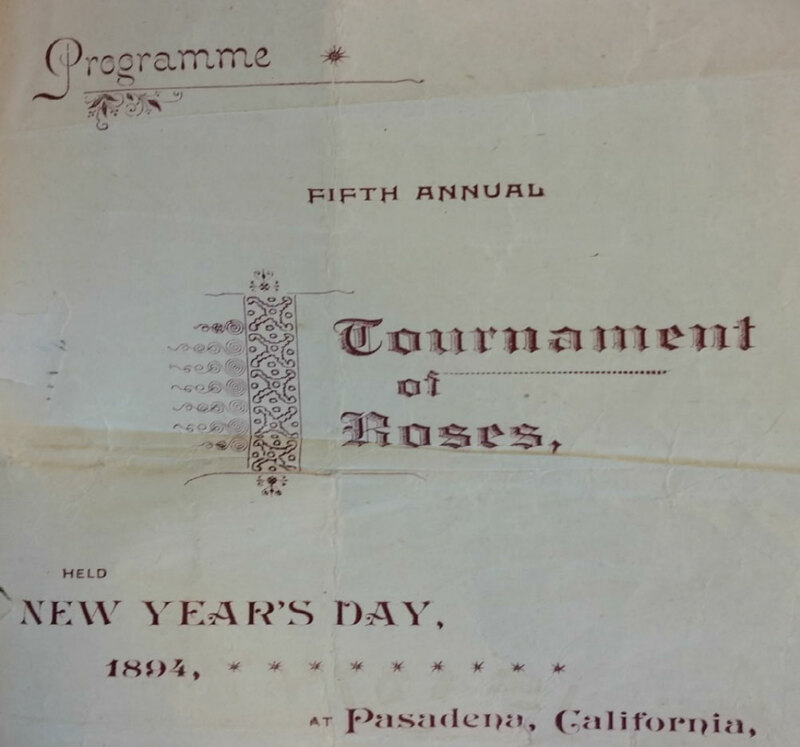 Mary kept this program from the Fifth Tournament of Roses in her diary. The diary gives a glimpse into Mary’s childhood, documenting both the ordinary and the extraordinary aspects of her life—from a list of Christmas presents she received to a trip that she, her mother, and her siblings took to the Chicago World’s Fair in 1893 and to California, where they attended the Fifth Tournament of Roses in January 1894. Mary used her diary as both a journal and a scrapbook with decorated pages, photographs, pressed flowers, a small paper sign where she advertised her handmade dolls for sale, and trip souvenirs. These illustrate Mary’s lifelong interests in art, gardening, dolls, and travel. The diary also provided more insight into her family. Mary’s mention of a brother named Warren, who would serve as a namesake for her son, was a revelation for Ingold and the Sayres. Ingold had run across Warren Brownell’s name during basic genealogy research but didn’t realize he was Mary’s brother. The diary enabled her to make the connection and identify Warren in photos that also are on display. “Mary Brownell Behrend: Diary of a Girl/Portrait of a Woman” is on display through November 5 and again in summer 2016. 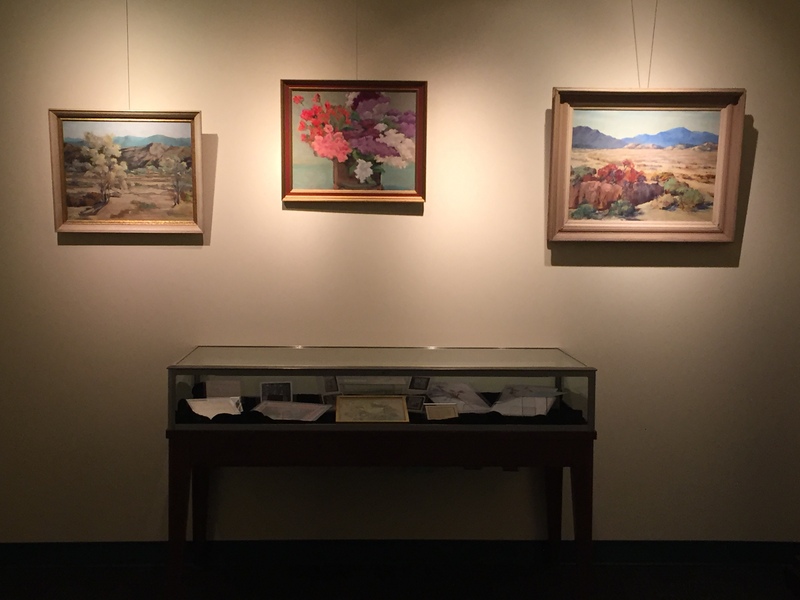 The exhibit is open to the public during library hours.